Popular scrapbook has a washable solid color leather-like cover with 10 top loading clear sheet protectors and white page inserts. Acid free. 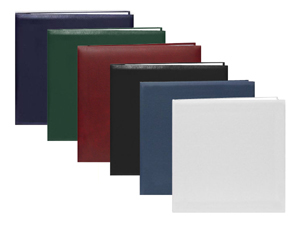 This popular scrapbook has a washable solid color leather-like cover with 10 top loading pages inside and features. 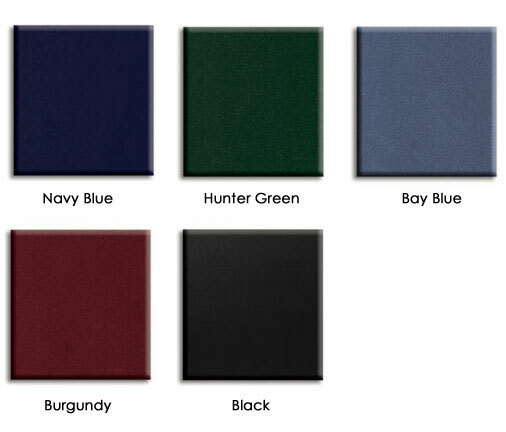 Overall dimensions: 13-1/8"W x 12-9/16"H x 1-1/8"
Please Note: Bay Blue cover material not made of Endurahide washable finish and may stain more easily than other colors.